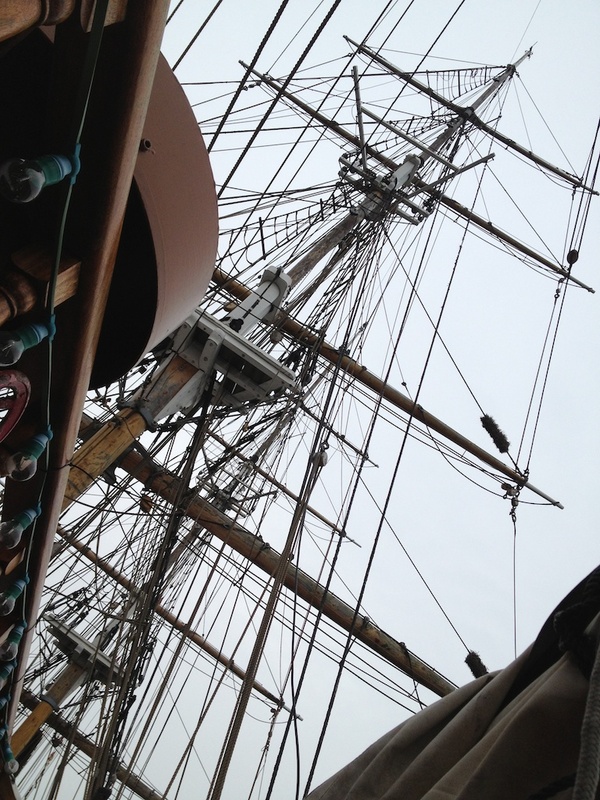 Mast of the tall sailing ship. There are many amazing sites I have recorded but haven’t had time to share. One is the Jeannie Johnson, the replica ship from the famine era that is harbored right here in Dublin. 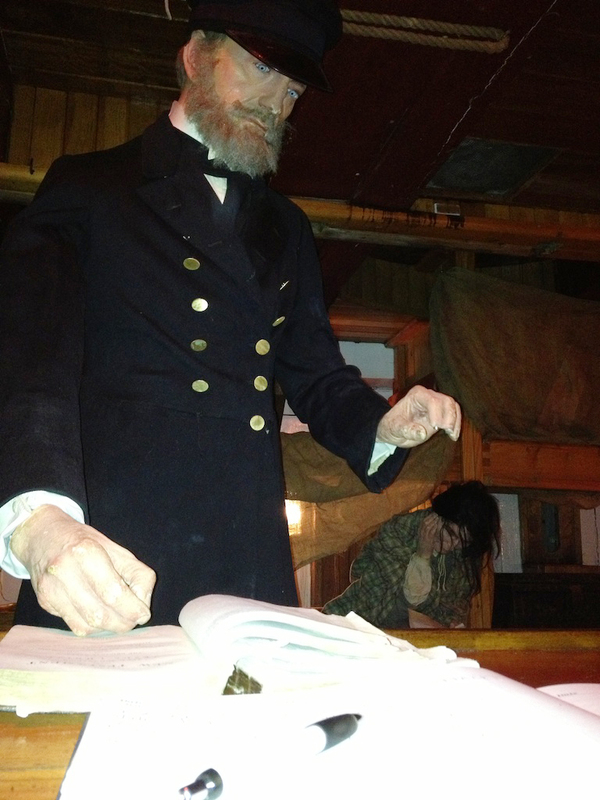 Dr. Pam Eddy and I visited the ship in March. In contrast to most “coffin” and/or “famine” ships, no lives were lost on the Jeannie Johnson. There was a very skilled physician on board–and quite bit of luck to boot. This is what it looks like on deck and also in the berths below deck….